88 years ago, on Monday, March 26, 1923, actor/comedian Bob Elliott was born in Boston. Though he is best-known for his work in radio, Elliott (with comedy partner Ray Goulding) starred in several TV specials and series. In 1946 Ray Goulding was hired to read the news for a morning show Bob Elliott was hosting on WHDH in Boston. 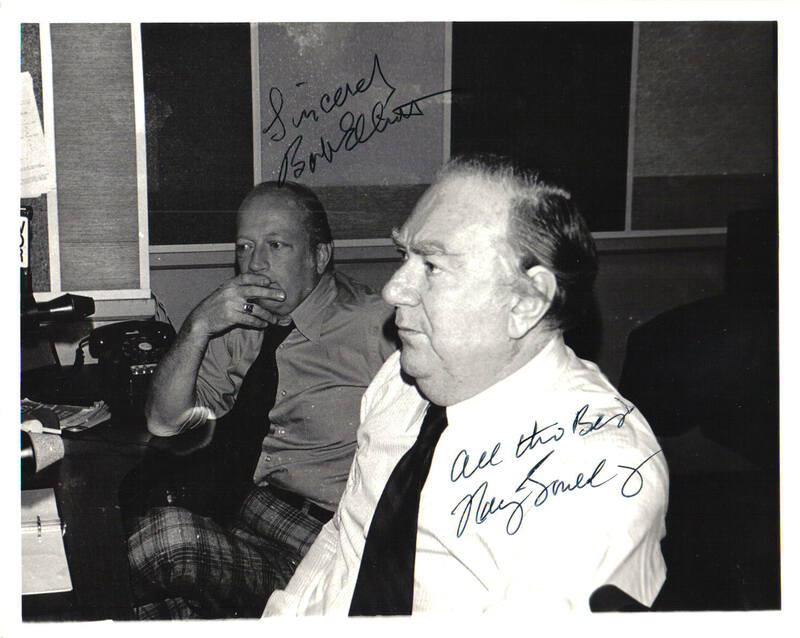 That fateful pairing would result in a 15 minute radio show called “Matinee with Bob and Ray” and eventually their partnership as the comedy team of Bob & Ray. 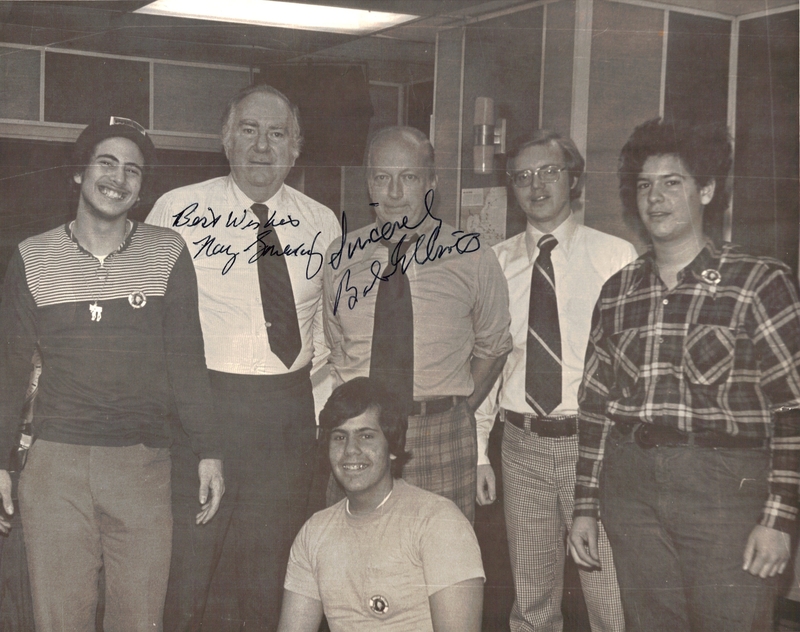 I had the pleasure of meeting Bob & Ray on three separate occasions, which are detailed in my previous post. Each time they were gracious and generous. 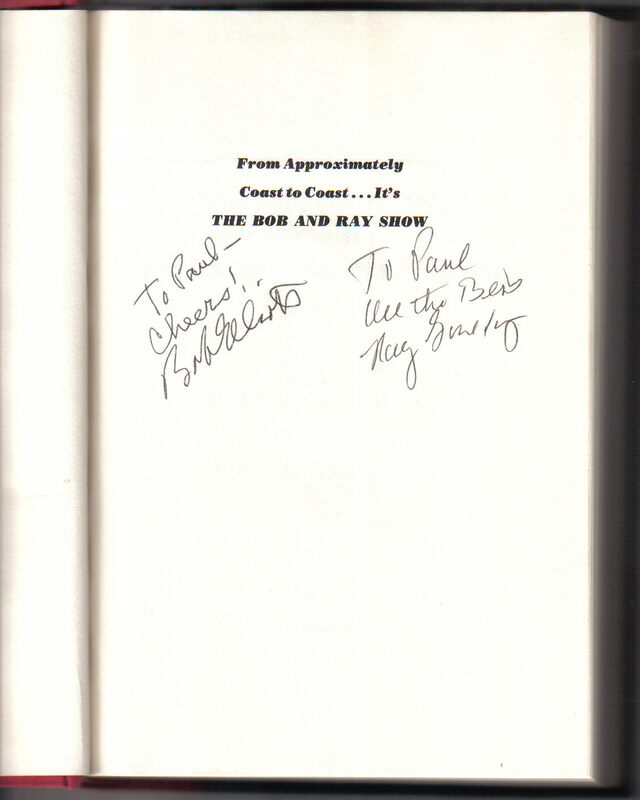 In addition to “The Bob and Ray Show,” the duo briefly hosted a TV game show and made many TV guest appearances. One highlight was the 1979 late night special, “Bob & Ray, Jane, Laraine & Gilda” with Jane Curtin, Laraine Newman, and Gilda Radner, which I attended. Bob Elliott has also spread his comedic genes to future generations. His son is actor/comedian Chris Elliott and his granddaughter is “Saturday Night Live” cast member Abby Elliott. While Ray Goulding died of kidney failure in 1990, at the age of 68, Bob Elliott is alive and well and living on Long Island. Today we salute Bob wish him a Happy Birthday. …or send him a note at: P.O. Box 53, Planetarium Station, New York, NY 10024-0053. I’m told Bob usually answers his mail. Happy Birthday Bob… and thank you.